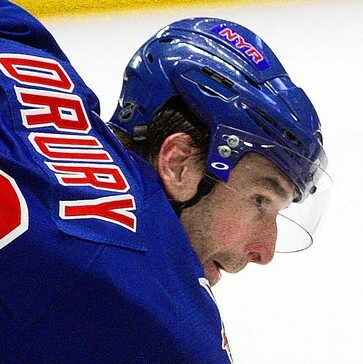 In Game 5 of the ’07 Eastern Conference semifinals, as a member of the Buffalo Sabres, Drury scored a tying goal with less than eight seconds left in regulation against the Rangers, lifting a rebound over goaltender Henrik Lundqvist. Buffalo won the game in overtime and the series in six games, and Lundqvist still remembers shattering his stick to pieces by slamming it against a wall after Drury’s goal. Cramer [used] data from the 1969 and 1970 seasons to tackle the question of whether or not clutch hitting was a matter of luck, or a trait that some players had and some did not. Cramer reasoned that if there is some ability that players have in varying degreees to perform in the clutch, then clutch hitting out to be stable from one year to the next like other abilities (the number of home runs a player hits in one year is a pretty good predictor of the number that player will hit the next year). Of course, some luck would be involved, but there ought be some correlation between clutch performance from one year to the next. Cramer found that there was none; a player might be at the top of the list one year and at the bottom the next. A similar analysis around the same time yielded the same conclusion. There did not appear to be any stable ability for hitting in tight situations. This analysis was, and is, controversial. Opponents of this view assert that (as Stadler quotes one saying) “the trends are undeniably apparent except to those who choose not to see.” And even if Cramer’s analysis is correct, it might only be that clutch performance isn’t apparent because everyone on a major league team is of such high caliber that they’re ALL engaging in clutch performance, and so canceling one another out. I’m convinced that the latter argument is correct. There’s no question that when pressure is intense, skilled performers are able to tap abilities that are otherwise kept in reserve. In my book, I describe the work of research psychologist Gary Klein, who conducted a study of expert and intermediate chess players engaged in blitz-style tournament, in which they were allowed only an average of six seconds per move. Under this time pressure, the intermediates made twice as many bad moves as when they were allowed several minutes per move — whereas the experts actually made slightly fewer. Klein went on to explore how expert decision-makers functioned under even more intense stress. He interviewed the fire-fighting commanders who had spent years battling potentially deadly blazes, and found that, when faced problems like how to get a team into a burning building, they did not consciously deliberate between the pros and cons of various possible options. Instead, they instantly matched the situation to the one most similar in store of accumulated experience, and chose a solution accordingly. This kind of strategy has been dubbed “satisficing,” because it results not in the absolute best conceivable answer, but one whose speed makes up for its shortcomings. “The commander… never seems to decide anything,” Klein writes. “Even when faced with a complex situation, [he] could see it as familiar and know how to react.” If the plan turned out not to be very good, he would simply summon a new strategy in response to the evolving situation. The whole process happens so automatically that one commander that Klein talked to was convinced that he had ESP. Like master-level chess, then, expertly fighting fires requires a rich store of past experience, organized into a deep intuitive understanding. So does playing sports at a professional level. And that, I think, is the truth behind clutch performance. It is a known issue in security incident management – delaying a decision (normally because of a lack of information) is nearly always a worse decision than any of the other options available. This most definately is true. There are many situations where a fast decision that can be implemented immmediately is better than a ‘right’ decision that takes longer to come up with. I am an engineer in the oilfield, and the whole BP Macondo disaster was a classic example of this logic at play. BP didn’t have any (or possibly enough) individuals with enough experience to be able to make some snap decisions after the whole mess started. In the time it took BP to come up with ANY ideas a more experienced team of engineers could have implemented a half dozen or so potentially workable solutions to the blowout. The company I work for as well as some individuals in the company sent plans to BP immediately (we already knew who to send them to even before they opened the hotline) and they were summarily rejected without any cause. As it turned out several of the immediately attemptable ideas would have worked and shut off the flow of oil from the well. This would have/could have taken place within 7-10 days of the rig sinking at the most. I have seen many other situations in the oilfield industry where this lack of experience and knowledge has cost countless millions or even billions of dollars, but BP’s errors were far worse. Decision making in whitewater rafting must be quick and automatic. I taught raft guides for 15 years, and we always said: “wasn’t pretty, but you got through through the rapid with everyone in the boat and nobody hurt, good job!” Overanalyzing the situation, and “freezing” leads to problems in that environment. Satisficing is the optimal strategy. I’ve made a few bad decisions along way, but just like you describe, I quickly and automatically reached into my mental bag of tricks and pulled through OK.
Just as important, we had to teach guides when to take their time to make a decision. Getting stuck on a rock was called “free parking”, and we had to stop trainees from acting quickly to make things worse.